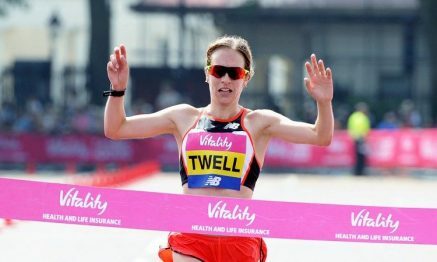 28th May 2018 – There was double success for PACE athletes at the British 10k Championships as Steph Twell (GBR) and Sir Mo Farah (GBR) both ran to comfortable victories. Steph showed her recent training stint overseas has gone well as she simply ran away from the women’s field crossing the line in 32:34, twenty six seconds clear of the runner-up. For the second week in a row, Sir Mo chose to bide his time until he kicked to the front in the final stages to win in 29:44. At the latest IAAF Diamond League event in Eugene (also known as the Prefontaine Classic) Hellen Obiri (KEN) showed she is recovering from a recent illness with a third place finish in the 5000m with a time of 14:35.03. Winny Chebet (KEN) took fifth place in the women’s 1500m narrowly missing out on dipping inside four minutes. Shamier Little (USA) was fifith in the women’s 400m in 55.23 seconds. There was sixth place finishes for Dina Asher-Smith (GBR) in the women’s 100m (11.06 seconds) and for Matthew Centrowitz in the men’s mile (3:53.61). Bethwel Birgen (KEN) was one place behind Matthew in 3:54.60. In the distance events on the Friday evening Laura Roesler (USA) ran a season’s best of 2:02.68 as she took fifth place in her 800m race. In Oordegem, Belgium, Perri Shakes-Drayton got a victory under her belt as she won the women’s 400m in 52.00 seconds.